Let’s use shadows to find the heights of an object. Here are some measurements that were taken when the photo was taken. It was impossible to directly measure the height of the lamppost, so that cell is blank. 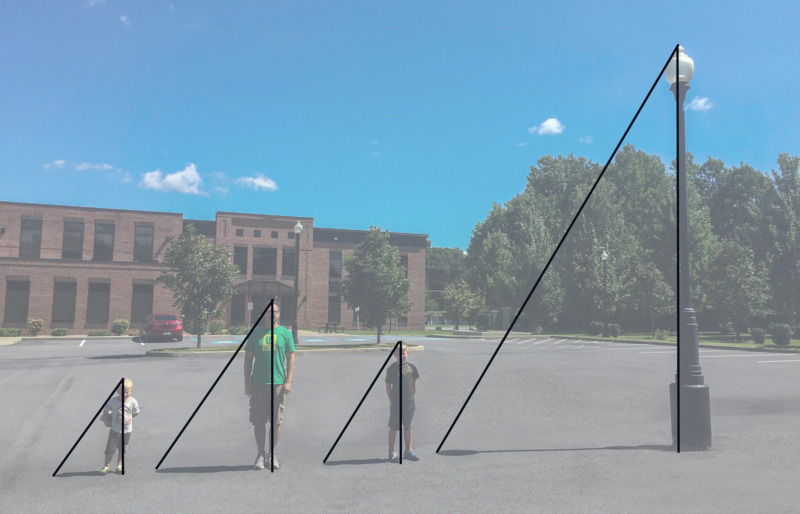 What relationships do you notice between an object’s height and the length of its shadow? Make a conjecture about the height of the lamppost and explain your thinking. 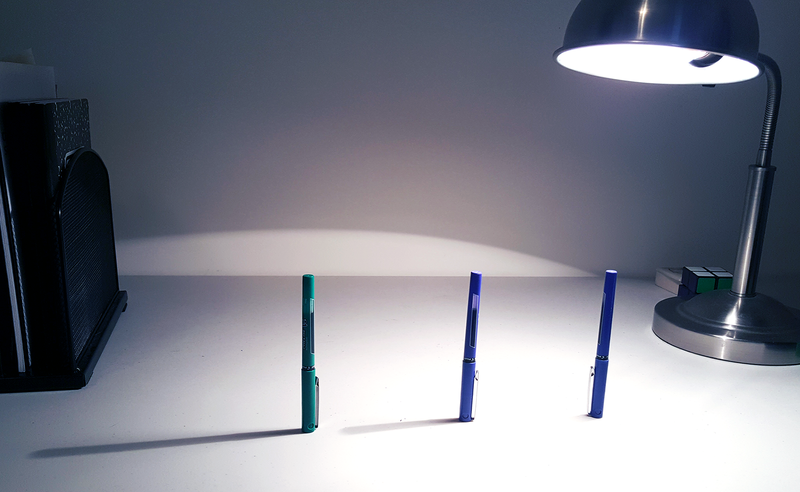 Explain why the relationship between the height of these objects and the length of their shadows is approximately proportional. Head outside. Make sure that it is a sunny day and you take a measuring device (like a tape measure or meter stick) as well as a pencil and some paper. Choose an object whose height is too large to measure directly. Your teacher may assign you an object. Use what you have learned to figure out the height of the object! Explain or show your reasoning.